Traditional bonsai are outdoor plants from certain climatic zones trained to be indoors. These are woody plants from the Mediterranean region, the subtropics and the tropics. They are regarded as regular pot plants and do quite well in our homes. Let’s take a look at the basic care of bonsais. 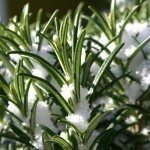 The basic care of bonsais doesn’t differ much from their larger relatives with regard to temperature, light requirements, humidity and rest periods. However, they do require a little assistance to keep up their overall health. First, use special potting mix, a watering can with a fine nozzle and a fertilizer specific to bonsai trees. Remember that bonsai grow best in little soil that is slightly mounded. Make sure not to blow off the dry soil when you water. Remember too, that in a limited space, the nutrients are taken out of the soil quicker, so you have to fertilize bonsai trees more often. Always use weak doses and never put the fertilizer on dry soil. 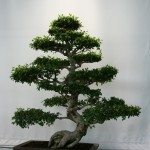 For more bonsai tree info, including how to perform bonsai pruning methods, check out the following article on bonsai basics. Read more articles about Bonsai.